This whole trip seems surreal now that I am back at home and back into everyday normal life. 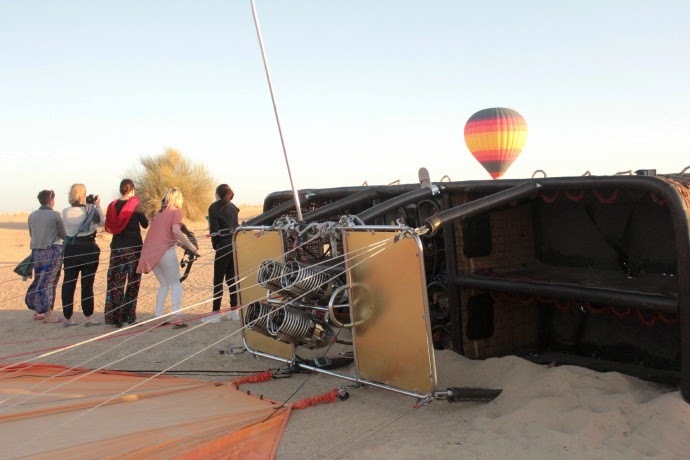 It’s hard to fathom that yet just a week ago, there I was in the Arabian Desert in a Hot Air Balloon 4000ft above the ground and then crashing into the ground at 40km an hour in what our pilot described as a 10/10 ‘sporty landing’. I’ve had quite a few of those ‘did that really happen moments?’ since I have been back and it has taken me a while to comprehend it and process all that we experienced on that incredible trip to Dubai. To be honest I don’t even know if I have actually processed it, or if I ever will. 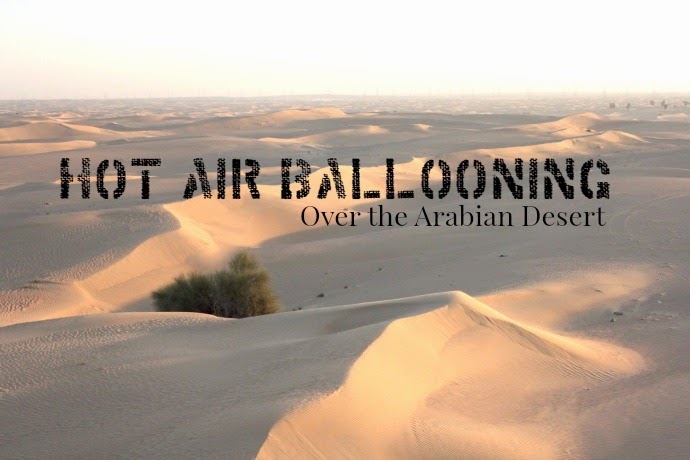 I had thought that standing out in the ArabianDesert at night on the Desert Safari was a life changing experience for me, but this Hot Air Ballooning with Balloon Adventures Emirates was a total game changer. I am petrified of heights. No bull, I really am. I am one of those people who stands on the balcony of a really tall building and looks over the edge of the railing to down below and goes “Oh crap, it would be far too easy for me to just hoik myself over that railing and fall to my death”. I am well aware just how insane that sounds and of course I would never actually do it. It’s just that for some crazy reason that I do not understand, I just can’t stop myself from thinking like that when I am somewhere insanely high and then I get all giddy and panicky and I have to get as far away from the edge as possible. 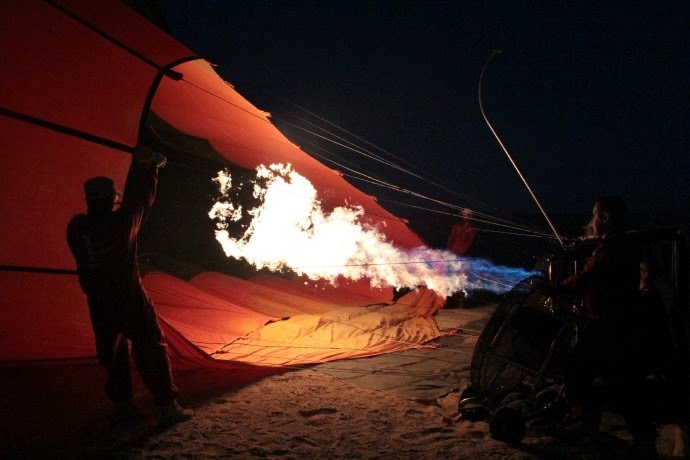 Yep… and yet I put my hand up to float 4000 feet above the desert in a basket held up by a bloody big balloon and a whole load of hot air? What I’m thinking is that I am so beyond proud of myself that I did put my hand up to do it. In fact, proud doesn’t even come close to describing how I feel about overcoming that fear and experiencing such an incredible activity. 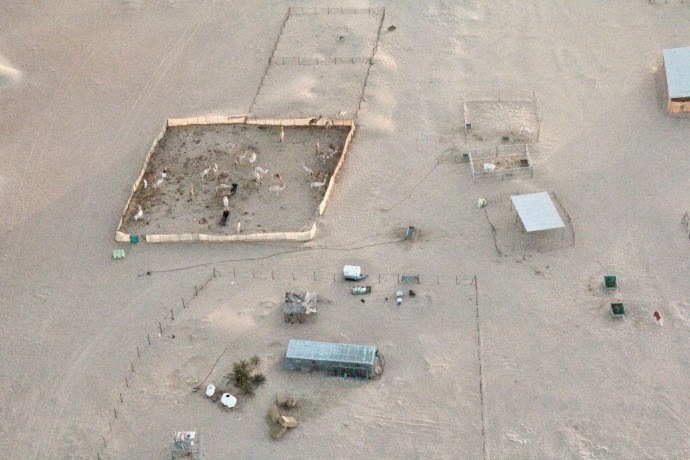 A 4.30 am wakeup call had me ready and on the bus at 5.15 am for the 45 minute ride back out into the desert. 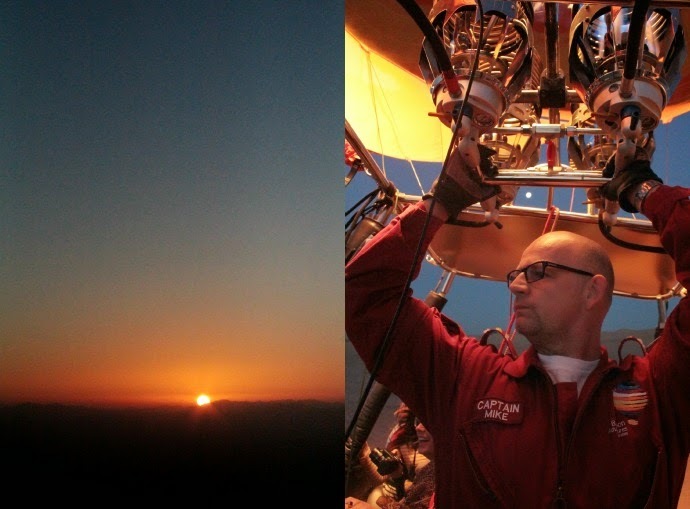 Once there we were briefed on safety, we watched as the ginormous balloons were inflated. 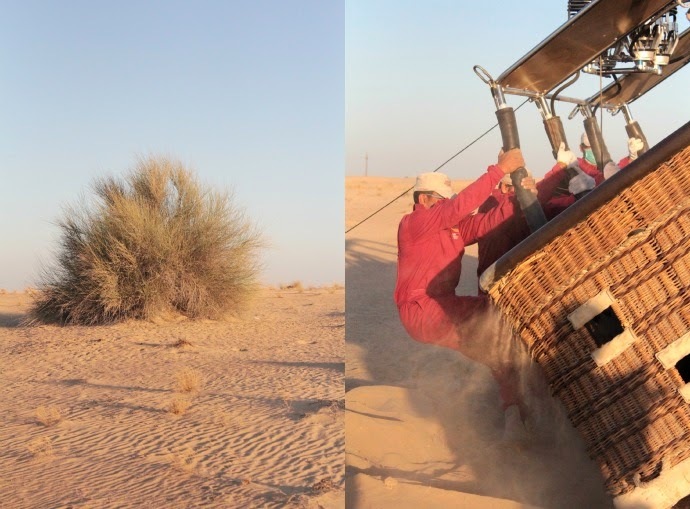 Once that balloon was up, there was no time to chicken out as collectively (under strict instructions to “Get on … QUICKLY”) we all scrambled our way into the basket. 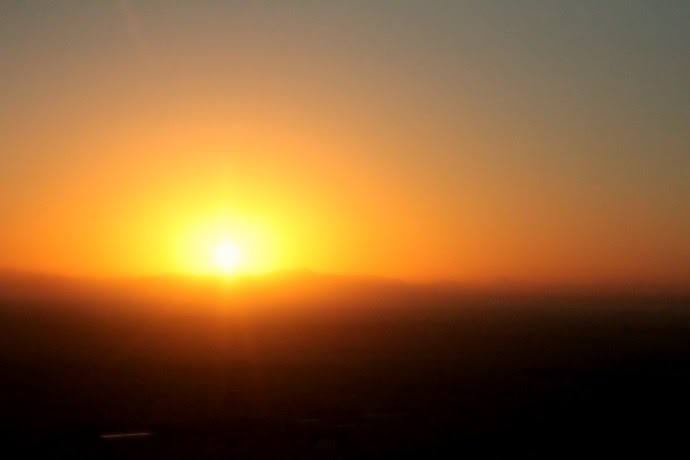 Before I had a moment to think or rethink about what I was doing, we were lifting up into the air and I was mesmerized by the most beautiful sunrise I have ever seen in my entire life. OK.. 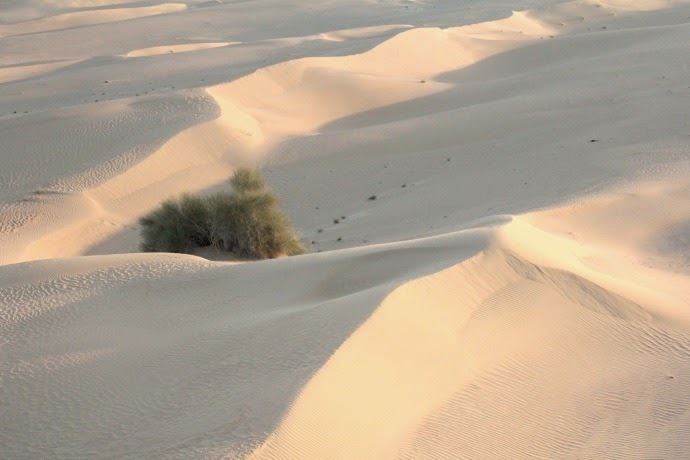 I lie – I SO WAS scared, but for the most part I found flying over miles and miles of sand and camels and random gazelles - peaceful and surreal and I was oddly at ease. Maybe the ease came as a result of our pilot (Captain Shaggy Michael Schaefer) reassuring us as we took off that he had in fact made over 1000 flights in his career. Who knows... but it sure was something I hung on to as we braced ourselves for a somewhat less peaceful landing. I won’t spoil that landing any further for you… watch the video below which was kindly uploaded to You Tube by my fellow Bloggerati teammate Sharon The MakeUp Artist, to see it for yourself. 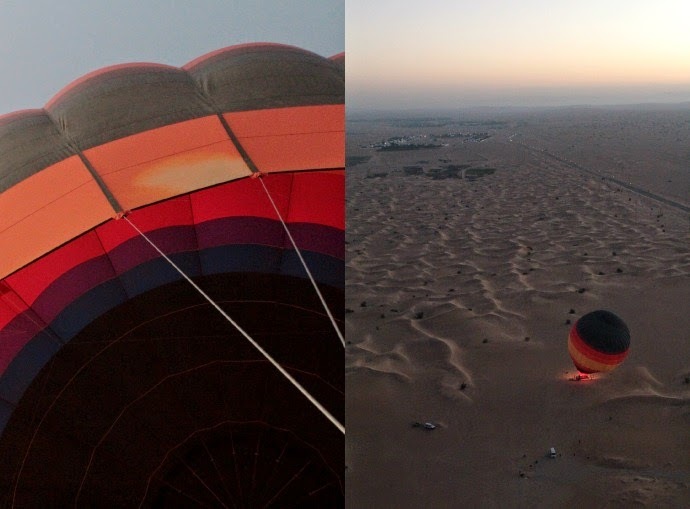 If you are planning on visiting Dubai and would like to experience this activity for yourself, you can book through Balloon Adventures Emirates here. 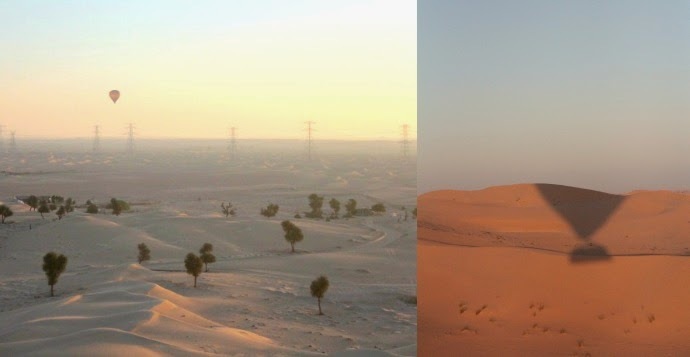 Realistically at approx $272 US per person, it is not something I could have afforded my whole family to do and so I am extremely grateful for the incredible #MyDubai opportunity. But, if you have the budget and the courage, I would wholeheartedly recommend you experience it for yourself. As I said before… total game changer! 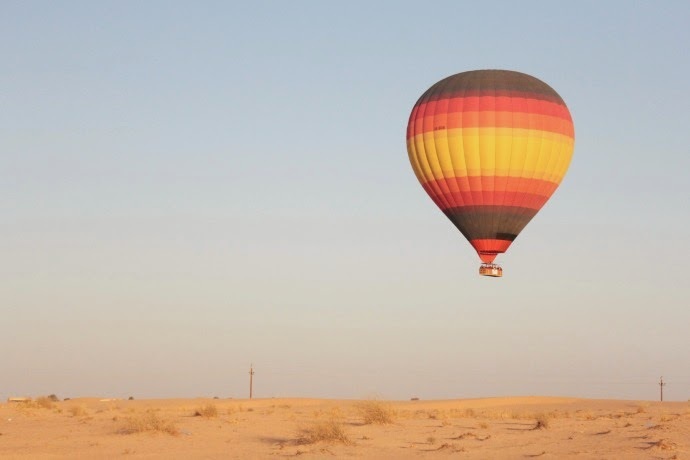 Have you or would you give hot air ballooning a go? What have you done in your life that has been a total game / life changer for you?